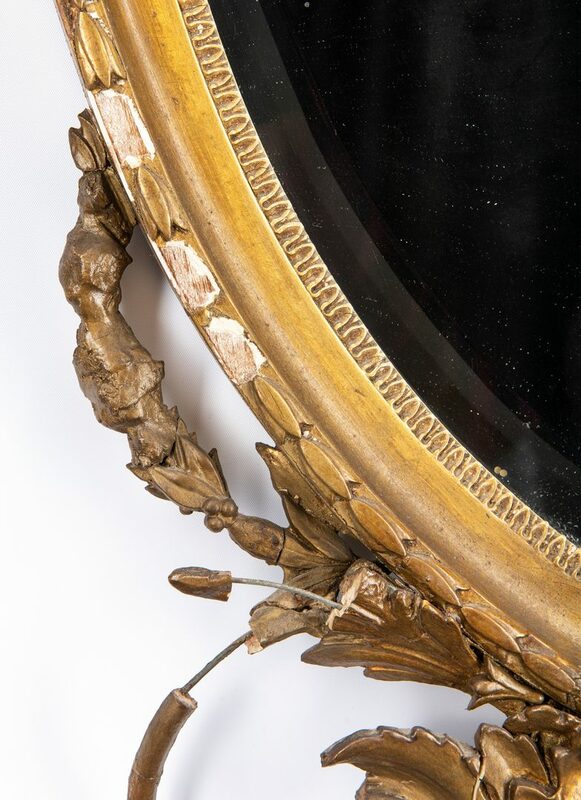 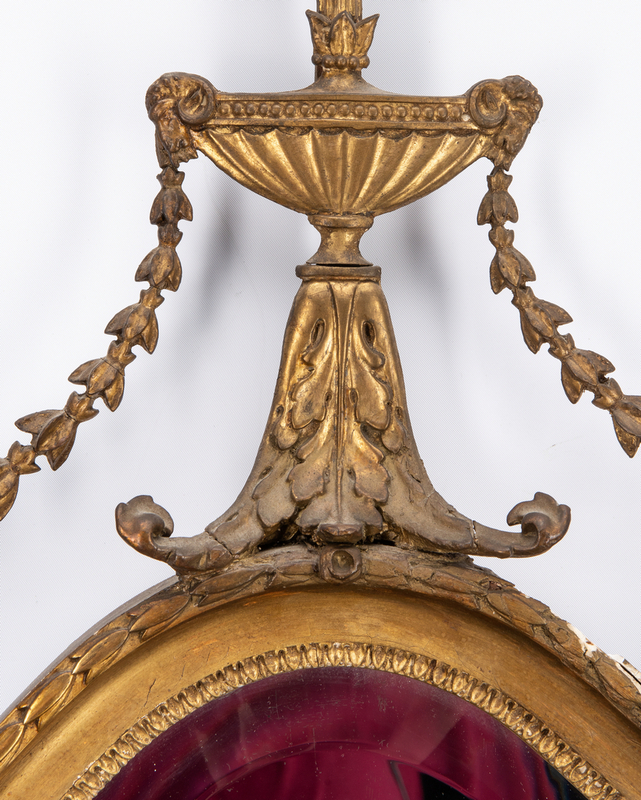 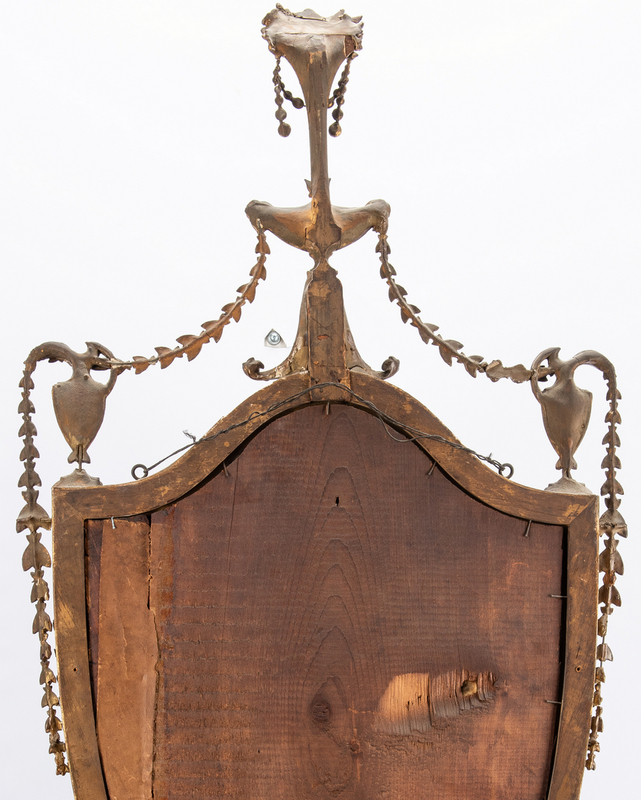 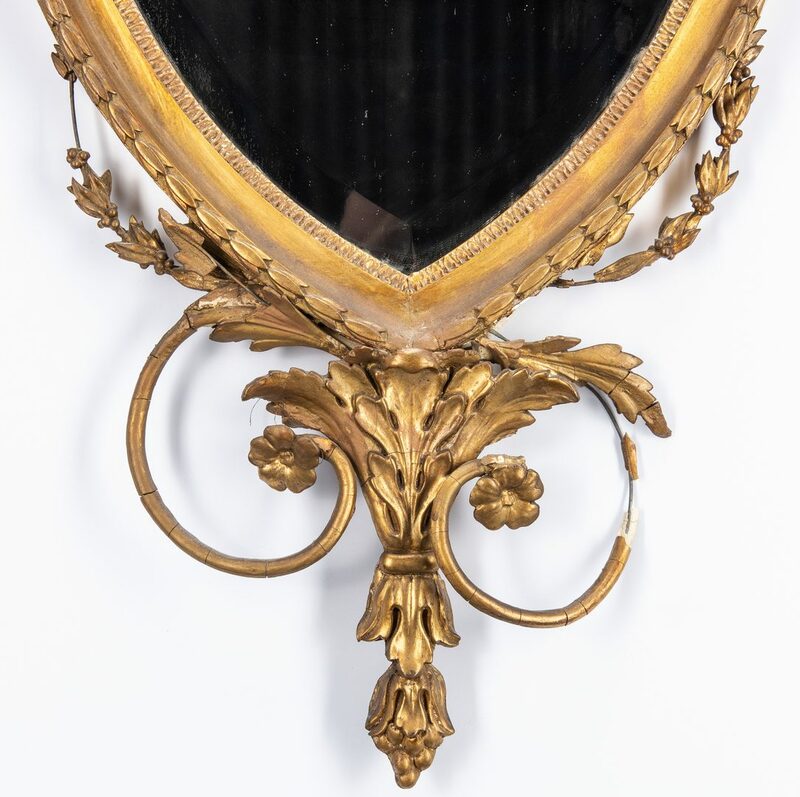 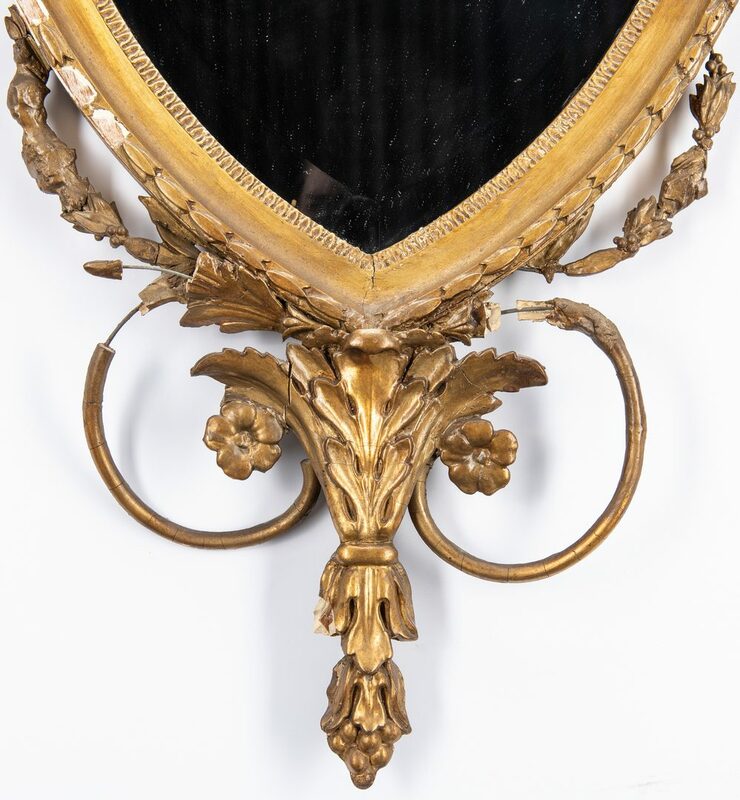 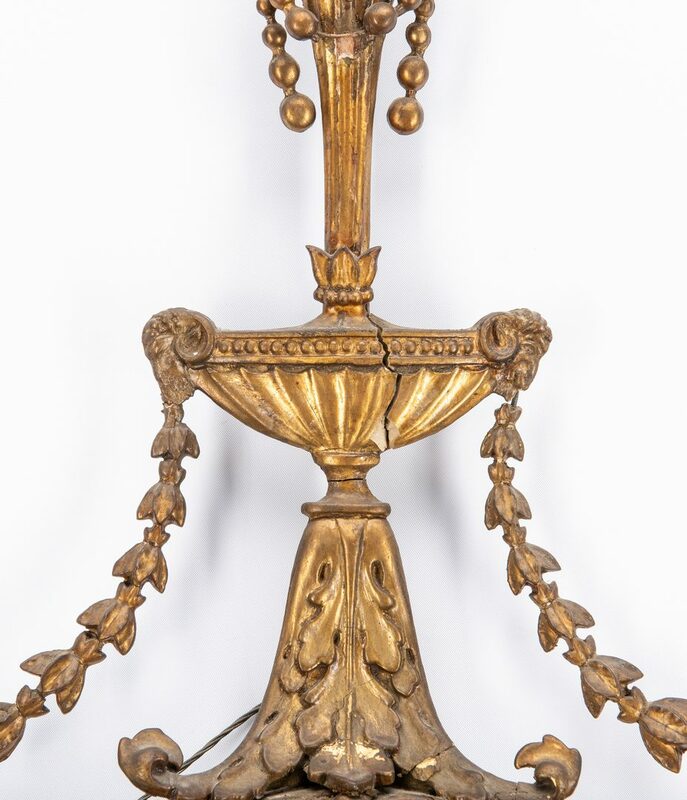 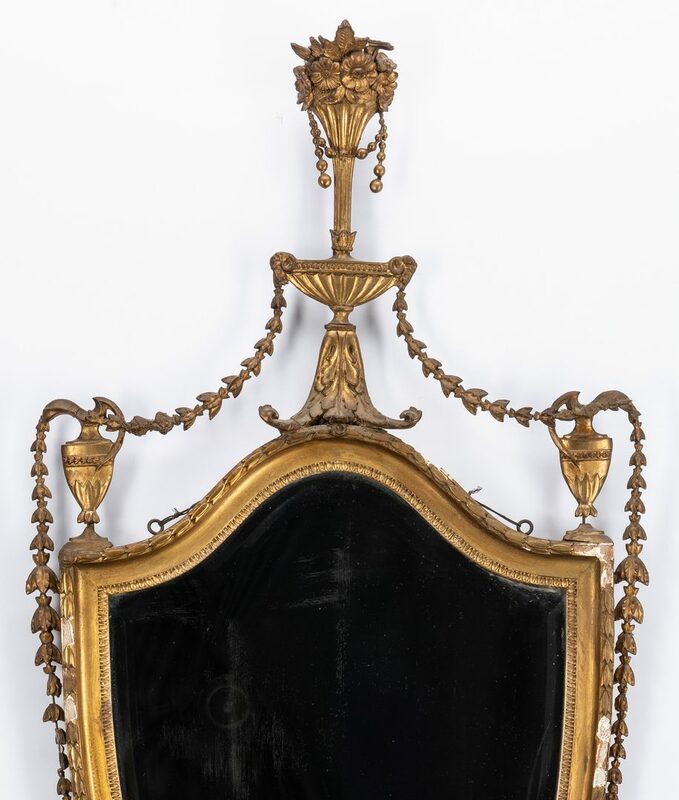 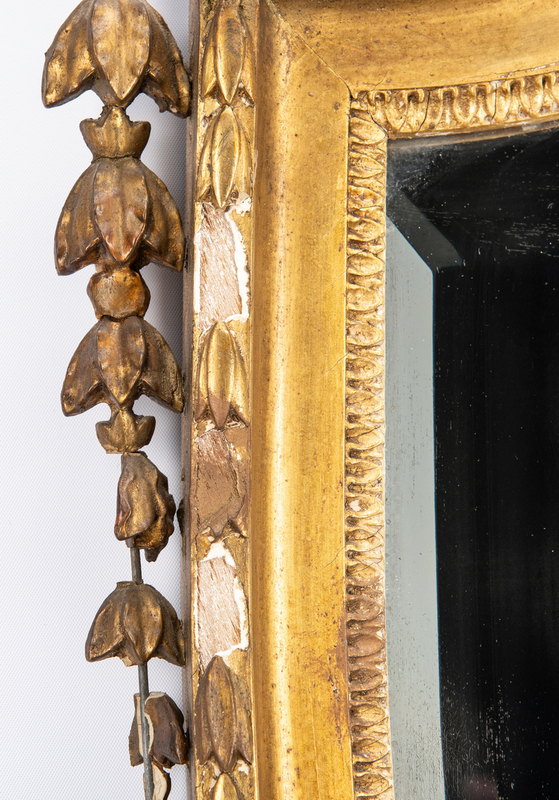 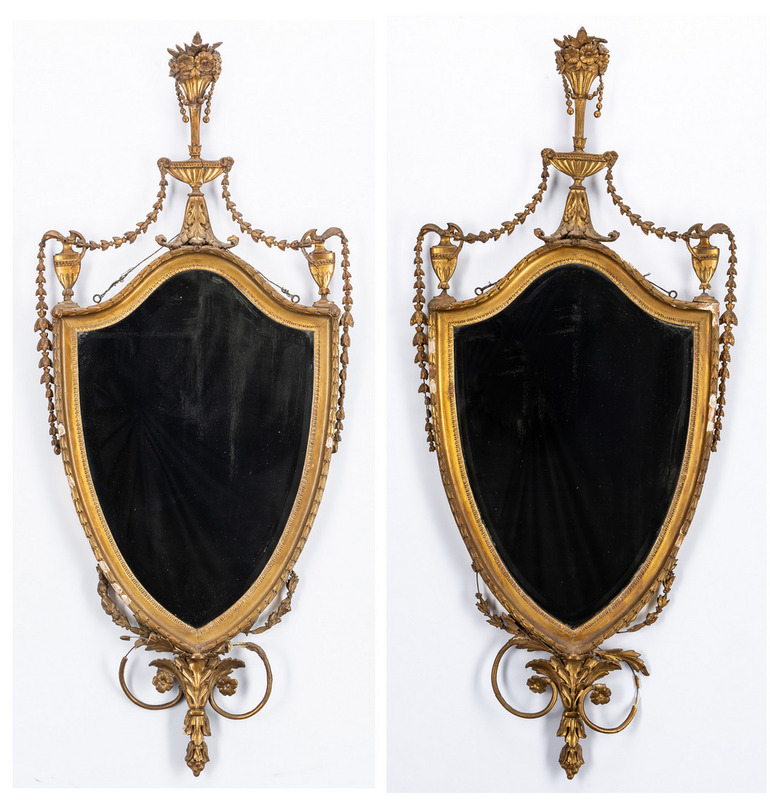 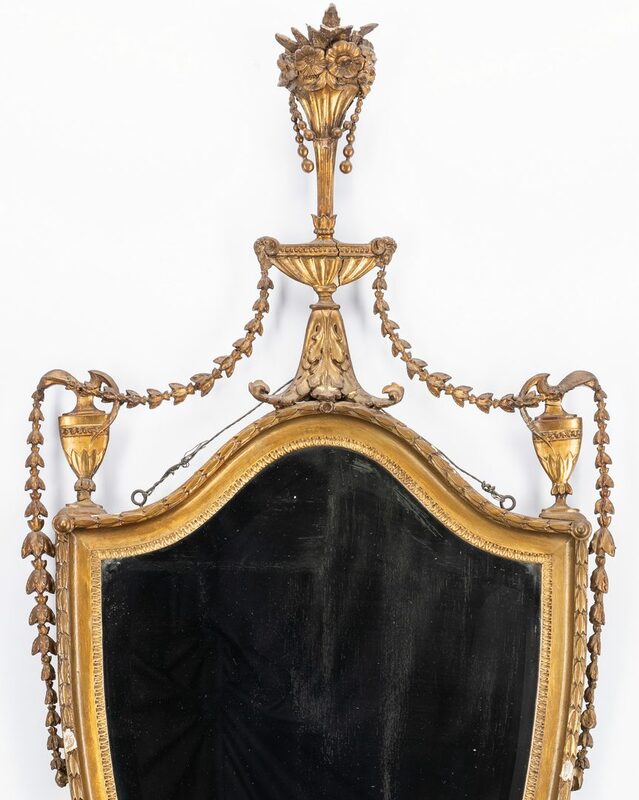 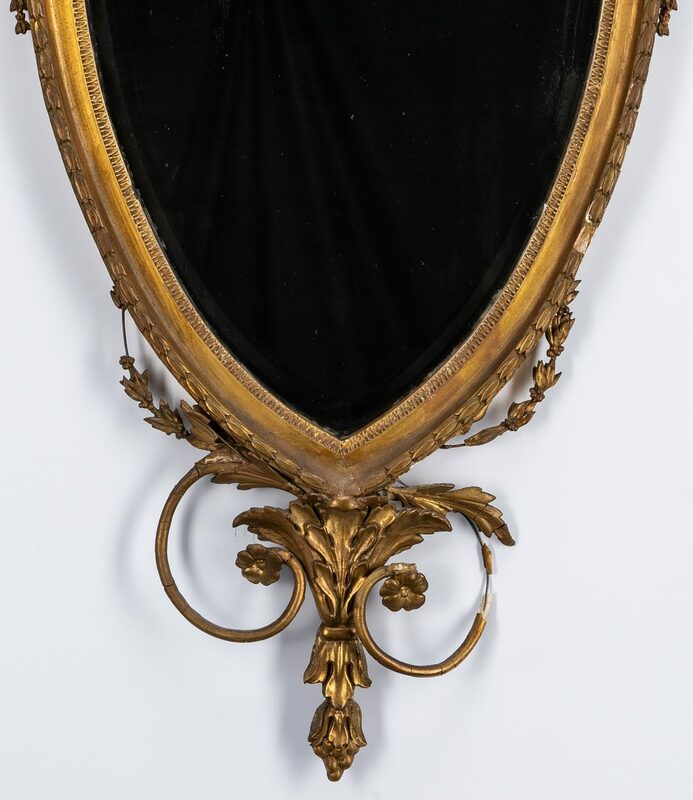 Pair of Neoclassical Robert Adam Style giltwood mirrors, each with floral and urn finials over a shield shaped mirror with husk-molded frame, acanthus, garland and husk molded drops. 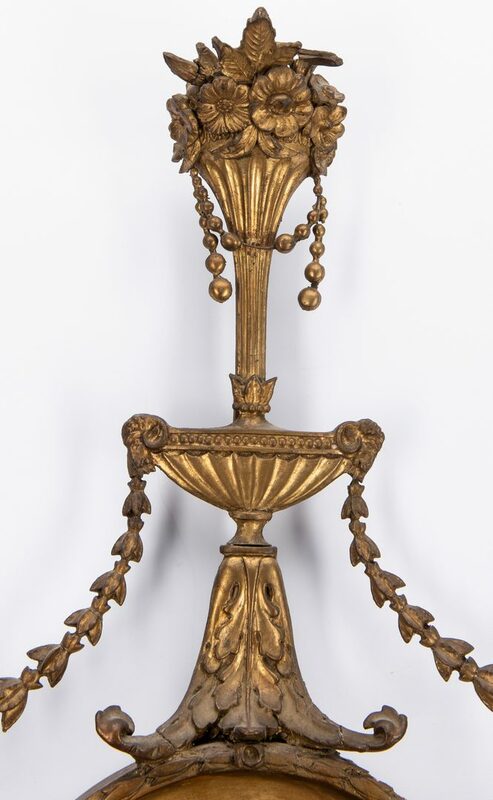 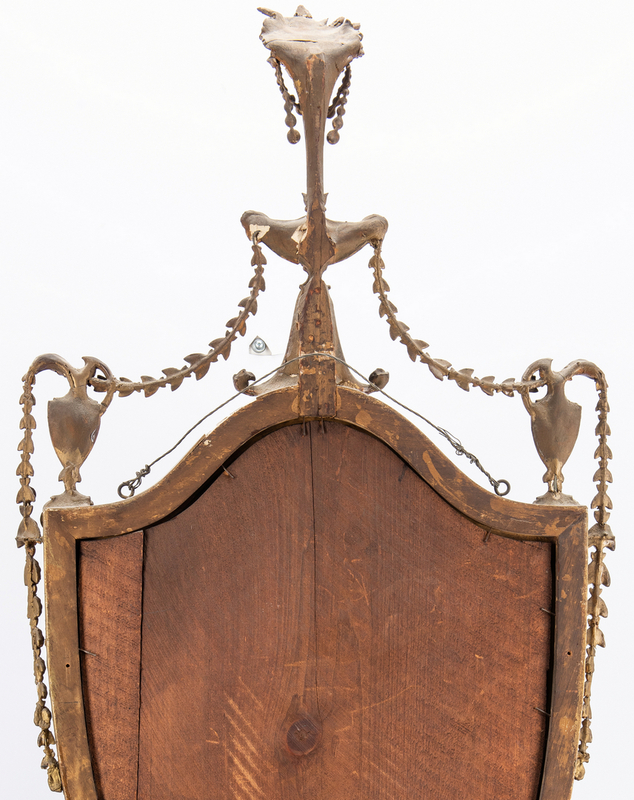 47" H x 27 1/2"W. Likely Continental, 19th century. 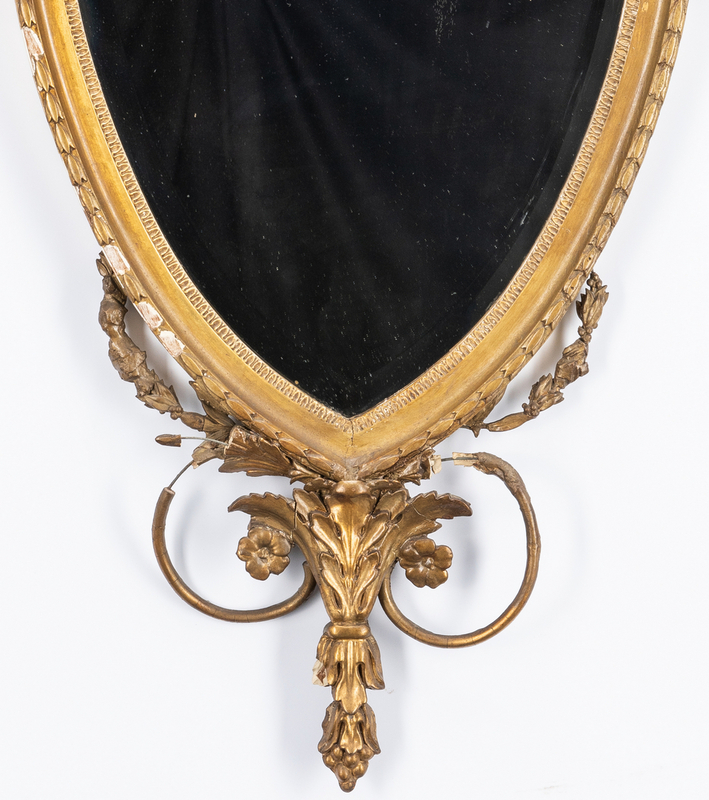 CONDITION: Mirrors and backings replaced. 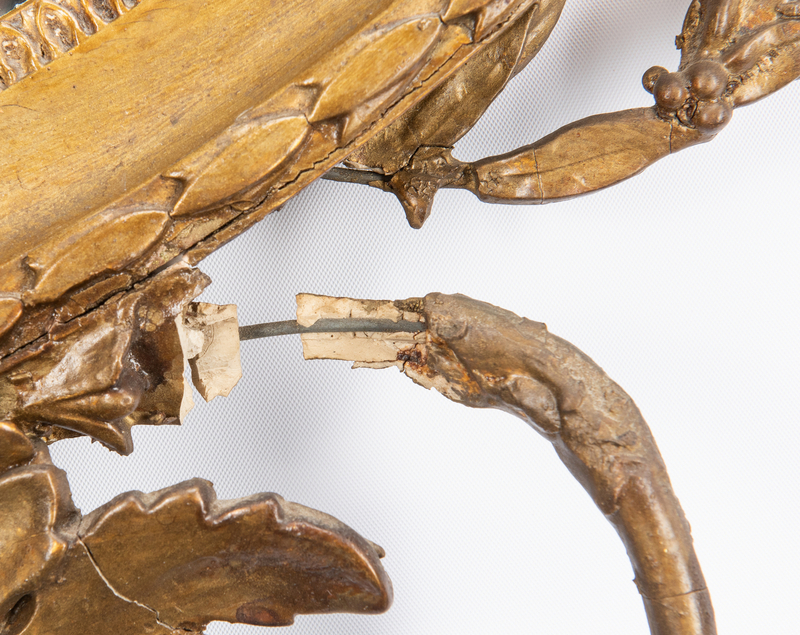 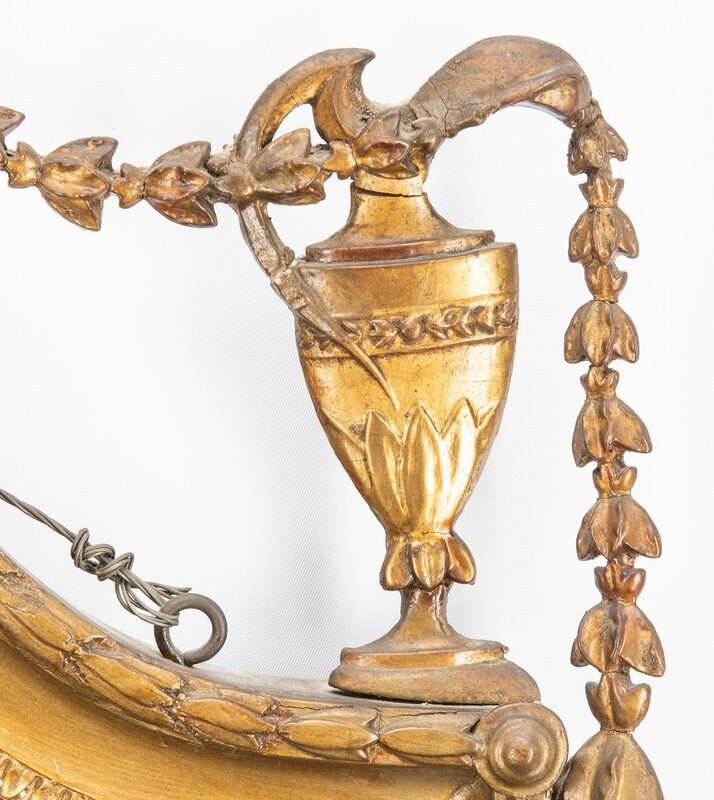 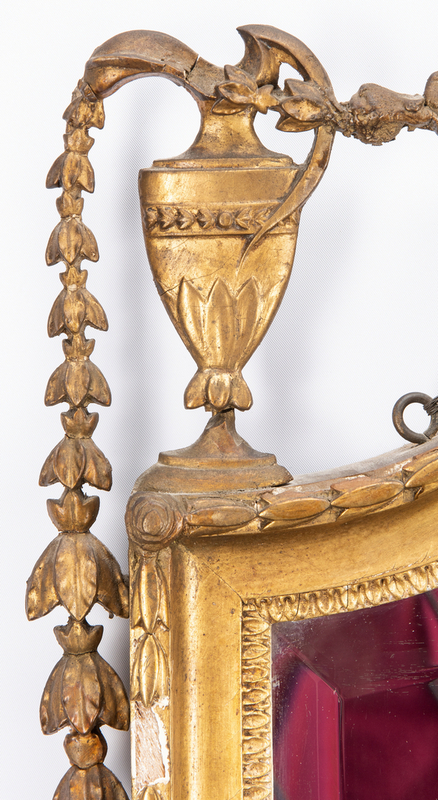 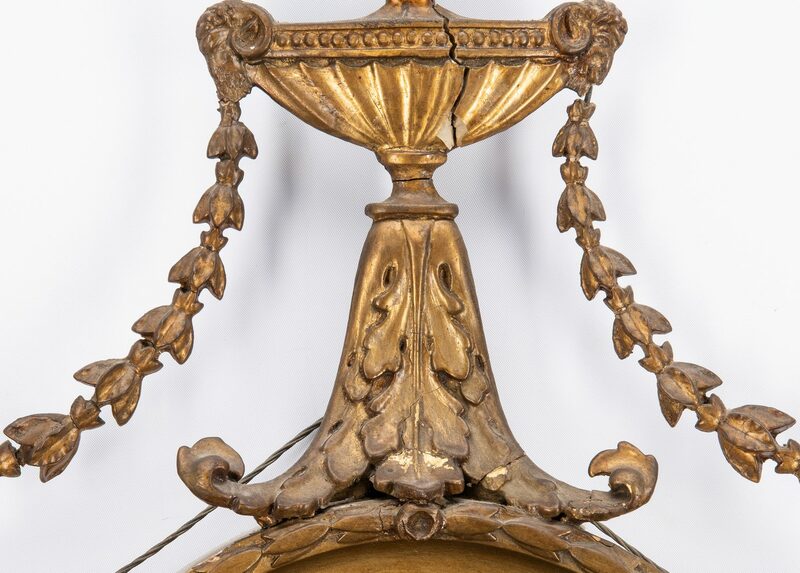 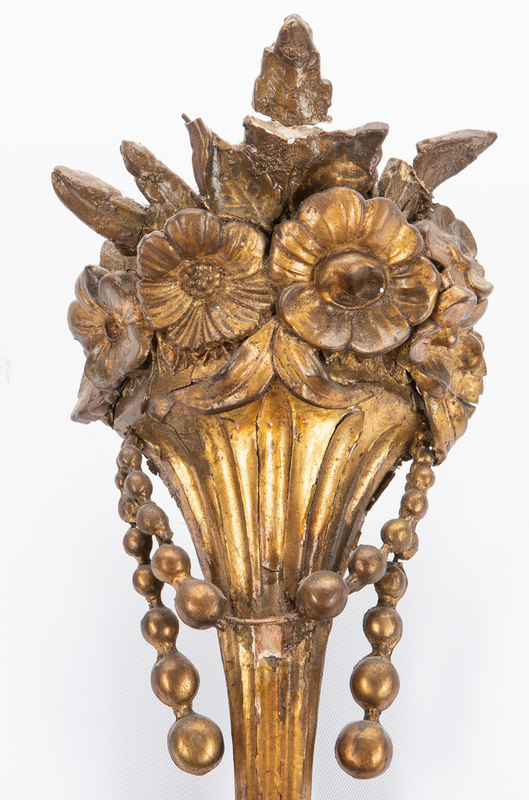 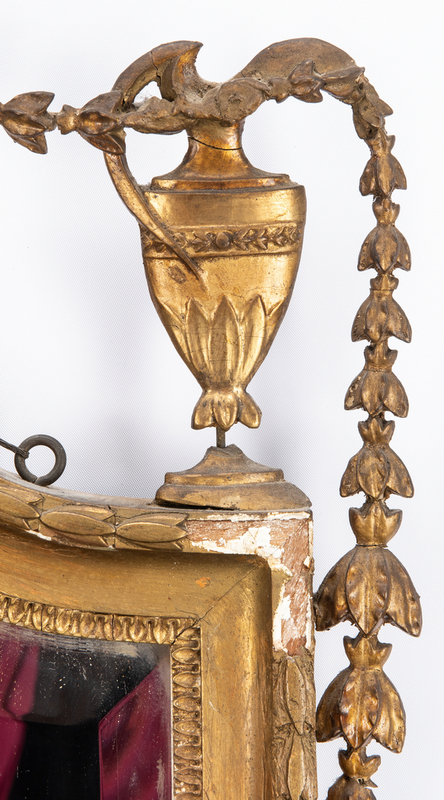 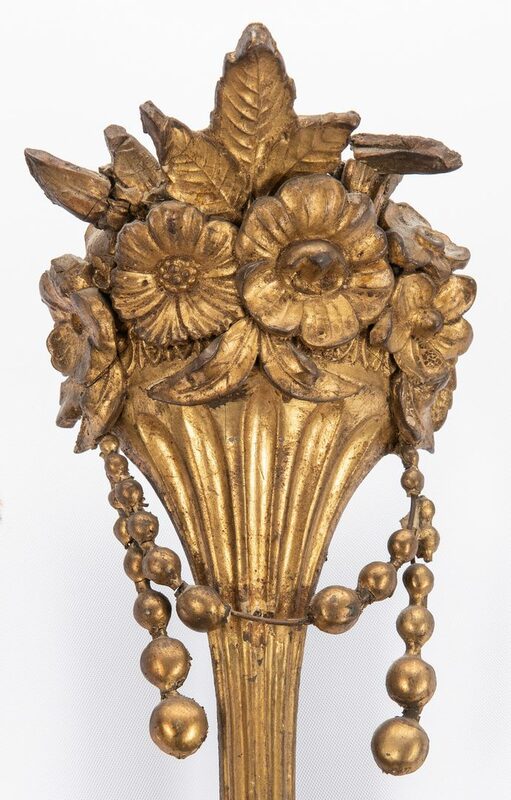 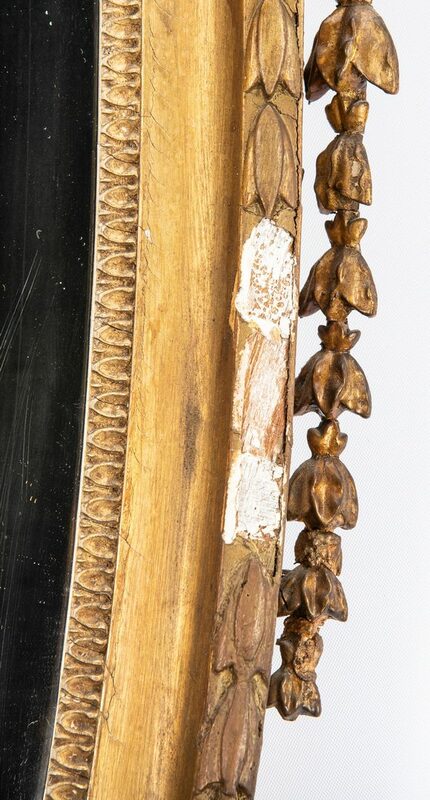 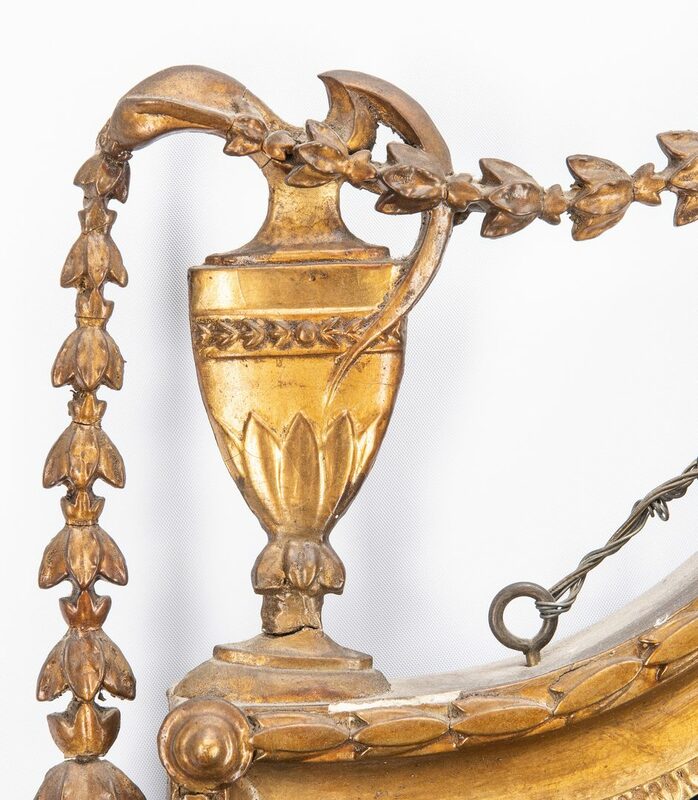 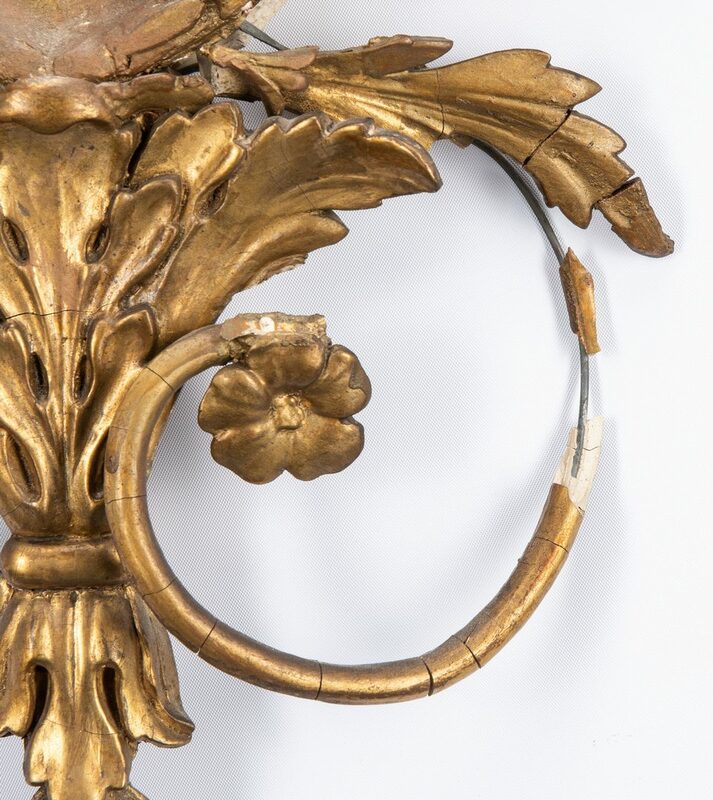 One mirror has repaired break to an urn finial with 1 small piece missing and repair to laurel swag; both have multiple small losses to husk frames and scattered minor losses and repairs to other areas of molding and gilding.